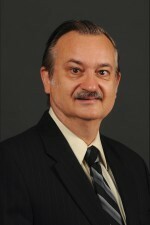 Dr. Stephen Magura is director of The Evaluation Center at Western Michigan University. Principal investigator of Controlling for Endogeneity Biases in Estimating AA Effects on Drinking Outcomes. Sponsor: NIH, R21 AA017906. Principal investigator of Research to Define and Measure Effectiveness of Advanced Technological Education Centers and Projects. Sponsor: National Science Foundation (subaward No. 0832874). Principal investigator of Efficacy of Dual Focus Mutual Aid for Persons with Co-occurring Disorders. Sponsor: NIDA, R01 DA023119. Co-investigator of Sublingual Buprenorphine for Chronic Pain in Patients at Risk for Drug Abuse. Sponsor: NIDA R21 DA022675. Magura, S. Validating reports of illegal drug use to evaluate national drug control policy. Evaluation and Program Planning 33 234–237, 2010. Magura, S., Spybrook, J., Rosenblum, A., Fong, C., Villano, C., Vogel, H.S., and Betzler, T. Undiagnosed drug use among admissions to psychiatric day treatment and prediction of early exit. Open Addiction Journal 3, 95-101, 2010. Magura, S., Rosenblum, A., and Betzler, T. Substance use and mental health outcomes for comorbid patients in psychiatric day treatment. Substance Abuse: Research and Treatment 3: 71-78, 2009. Magura, S., Lee, J.D., Hershberger, J. , Joseph, H., Marsch, L., Shropshire, C., and Rosenblum, A. Buprenorphine and methadone maintenance in jail and post-release: A randomized clinical trial. Drug and Alcohol Dependence 99 (1-3):222-230, 2009. Magura, S. Controlling for endogeneity bias in estimating Alcoholics Anonymous effects on drinking (abstract). Michigan Academician 39 (2):64, 2009. Magura, S. What more do we need to know about medication-assisted treatment for prescription opioid abusers? (Commentary). Addiction 104 (5): 784-785, 2009.